March 17 – Yesterday, the federal District Court for the District of Arizona dismissed A.D. v. Washburn, a case brought by the Goldwater Institute challenging the Indian Child Welfare Act’s (ICWA) application to Native children in the Arizona foster care system. 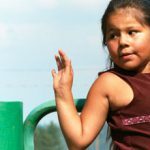 This case was an attempt by a special interest group to dismantle the law that has protected thousands of Native children and families nationwide. Read more at the Native American Rights Fund’s blog. Read related news coverage at the Indianz.com website and Indian Country Media Network website. This entry was posted in Court Cases, News and tagged Arizona, Goldwater Institute. Bookmark the permalink.